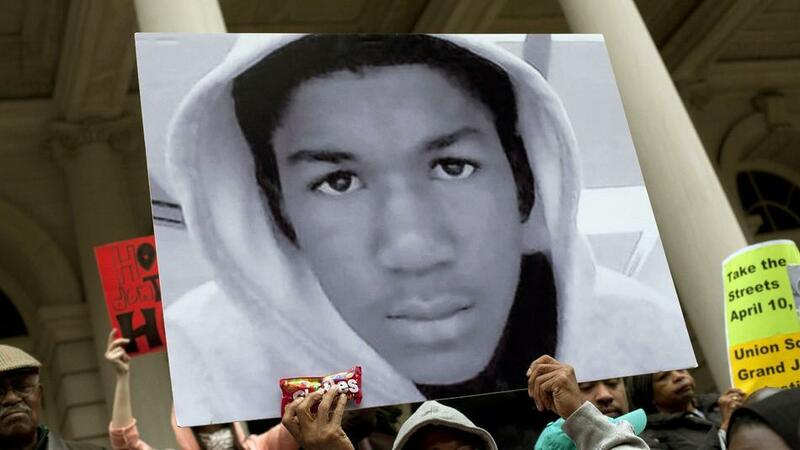 This week marked the one year anniversary of Trayvon Martin’s death. A baby-faced, chocolate-skinned teenager–that could have easily been my brother or husband–whose only crime was walking in an upscale neighborhood in Florida with a covered head, cellphone and a bag of skittles in his pocket. Wrong place at the wrong time? Maybe. But, as we (“Hoods up!”) light a candle for Trayvon and honor the movement that resulted in his horrific death, espisodes of this deadly trend play out in my mind. Three names automatically pop up: Sean Bell, Danroy Henry and Ramarley Graham. Three young black men with an eagerness and certainty in their eyes; perphaps a glimpse into a future they envisioned for themselves. All unarmed. All murdered. What remains are broken families with tear-stained cheeks, lawsuits against the city and community marches that demand change. All worthy and necessary causes. What isn’t is the inability to break this pattern that’s been marked since the Rodney King beating in the early ’90s that has escalated to the Amadou diallo murder 7 years later. Can we really say we’ve made progress since those acts of violence? Maybe we should ask the parents of Kendrec Mcdade when his one year anniversary is honored this month. Jamie Foxx comforts the parents of Trayvon Martin during a candlelight vigil to mark the one-year anniversary of the shooting. Check it below. If you Bl;nked: In an effort to combat gun violence hip hop manager Michael (Blue) Williams proposed young people turn in their weapons in exchange for being mentored and…wait for it…the hottest tickets in town: Beyonce concert tickets. The program is called “Guns for Greatness” and if given the green light the NYPD said they would support it. Williams was inspired to do something about the gun epidemic after his friend and hip hop mogul Chris Lighy of Violator Records shot himself this past summer.